The Free Theatre has been formed by a group of dedicated high school seniors who have the desire and drive to create a non-profit 501(c)3, student-run, tuition-free company for students who are passionate about creating theater. 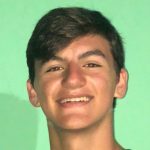 Matthew Ciazza is a rising senior at Georgetown Day School. 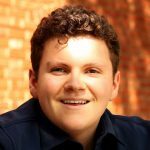 He has participated in regional dinner theatre, the Augusto Boal Summer Workshop, and the Carnegie Mellon University Summer Musical Theatre Pre/College. He feels that the free theatre is destined to succeed because it was created from a passion for independent art-free from restrictions. Matthew believes that as artists all we have is our reputations, so joining the free isn’t only a temporary experience, but a lifelong membership. 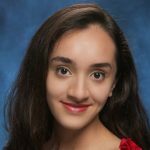 Pria Dahiya is a senior at Bethesda Chevy Chase High school. She performed for the first time at the age of six as a wolf name Wolfie in The Jungle Book and has not stopped since. Some of her favorite roles have been playing a little boy in You're a Good Man Charlie Brown, playing a southern grandmother in Oklahoma, and playing a drunk mother in Catch Me If You Can. She has also directed the play Miss Nelson Is Missing for her high school and assistant directed Oklahoma with Act two at Levine. Outside of performing and directing she enjoys playwriting, painting, and reading. She is excited about The Free Theatre because she is deeply passionate about promoting accessibility to theater education. Jenny Dalrymple is a rising senior at Winston Churchill High School. She has been singing, dancing, and acting for as long as she can remember. 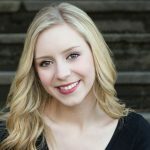 When she performed in her first show in sixth grade, she knew that musical theater was what she wanted to do for the rest of her life. Some of her favorite roles have included Roxie in Chicago, Lorraine in All Shook Up, and Cinderella. She spent the past summer at the Rutgers Summer Acting Conservatory which helped her grow as an actress, and as a person. In her opinion, the biggest benefit of being in a theater company is being part of the family behind the scenes that creates the magic. This is the main reason why she wants to be on the team creating The Free Theatre. This company will provide a safe and inspiring environment where everyone can be themselves and do what they love together. She cannot wait to help make this possible! 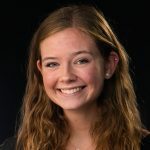 Kira Gandolfo is a rising senior at Walt Whitman High School in Bethesda, Maryland. She is an avid participant in theater both in and outside her school. Previous shows include Oklahoma! (Aunt Eller), On the Town (Madame Dilly), In the Heights (Camila) and many more. In addition to performing, Kira is a part of clubs such as the Minority Scholars Program (MSP) and UNICEF at her high school. She is very excited to join the free theatre team and help pave the way for youth in the DMV to continue learning “freely”. This program is exactly what youth artists all across the country need! Kira is honored to be a part of this and cannot wait to begin. 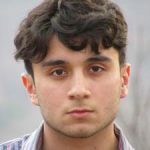 Carlos Hernandez is a 17 year old rising senior at Clarksburg High School. Credits include Prince Eric (The Little Mermaid), Usnavi (In the Heights, 2017 Cappie NCA Best Lead Actor in a Musical Nominee), and Ali Hakim (Oklahoma). During the 2017-18 season he trained at the Act Two Pre Pro Conservatory Program. He is vocally trained by vocal coach, Montel Butler. He is excited to join The Free Theatre as he will be expected to take more responsibility on with his peers and he feels extremely fortunate to be working with such talented people. 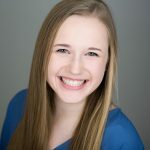 Lily James is a senior at Walt Whitman High School and has participated in shows and performances since freshman year. 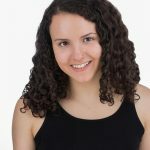 She has previously worked with the Washington National Opera at the Kennedy Center and participated in Rutgers Summer Acting Conservatory this past summer. The free is a fantastic way to enhance the quality of our community through art, she cannot wait to collaborate and learn from such amazing artists with the free! Emily Lane is a rising senior at Walt Whitman High School. She has been performing in musical theater for the past 10 years. Some of her favorite productions include Les Miserables, You’re a Good Man Charlie Brown, Bat Boy, Jesus Christ Superstar and All Shook Up. She also has worked as an apprentice choreographer on productions such as Chicago, Oklahoma, and Catch Me If You Can. Emily has been dancing for 14 years in styles including ballet, jazz, tap, lyrical, and her favorite, hip hop. 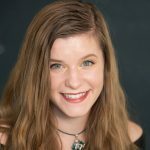 Emily is thrilled to be a part of the The Free Theater Company because of the chances students will get to explore the opportunities theater offers beyond performing, in order to cultivate the total artist. Devin Lucas is a rising senior at St. Andrew's Episcopal School. She is incredibly excited to be a part of The Free Theatre, and is so lucky to be working with such a wonderful and engaged team of students and professionals. A few of her favorite roles onstage have been Brenda in "Catch Me if You Can", Agnes in "She Kills Monsters", and Uzo in "Godspell", but some of her favorite work in theatre has happened offstage as a company manager. Outside of theatre, she loves writing, drawing, and being involved in student activism. She hopes that The Free Theatre will give passionate students the opportunity to create and collaborate through art; she is thrilled to work with everyone, and can't wait for the season to start! Julia McGowan is a rising senior at Walt Whitman High School. She has been doing musical theatre since elementary school and has loved every second of it. Some of her favorite roles have included Ado Annie in Oklahoma!, Celisse in Godspell, Cinderella in Into the Woods, and Mona in Chicago. She spent the past summer at the National High School Institute for acting, also known as Cherubs, at Northwestern University. She is so excited to begin working with The Free Theatre, as she knows that everyone will work their hardest to make it the best it can be. Jasmine is a senior at Washington-Lee High School and is so excited to be part of the creation of The Free Theatre. 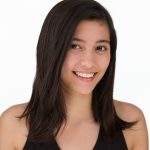 She has an extensive dance background and can't wait to share all she has learned with the company. 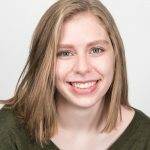 She is passionate about an array of social justice issues and feels like The Free Theatre will be the perfect place to use our art to help enact change. She strongly believes everyone deserves access to arts education and can't wait to collaborate with you all! Michael Votaw is a rising senior at Winston Churchill High School. He was inspired to start performing in 9th Grade by his older sister Anna. He has been involved in all of his school productions and his school show choir. His favorite roles include (Jud) Oklahoma! and (Mr. Strong) Catch Me if You Can. He is vocally coached by Lisa Carrier Baker and all the wonderful people at the Summer performing arts intensive (YAA). His training by Kevin Kuchar during the 2017-18 year truly shaped him into a complete performer. He is very excited to be a part of the incredible new opportunity for young aspiring artists that is the Free Theatre!